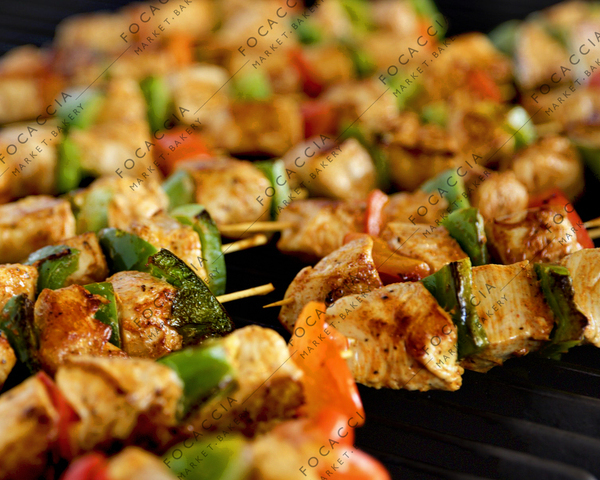 Choice of chicken, beef or vegetable. 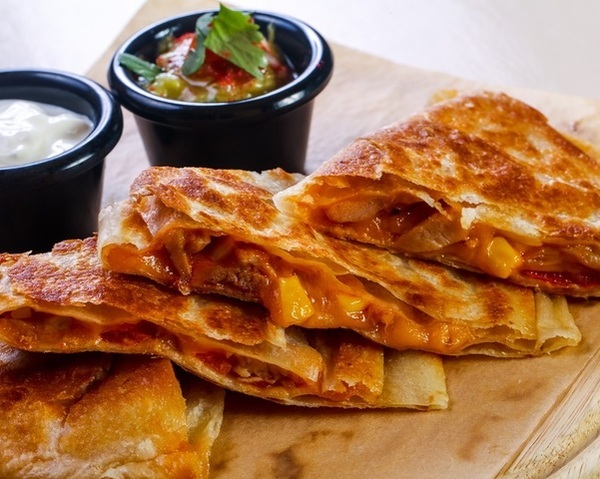 Served with charred salsa, guacamole, and sour cream. 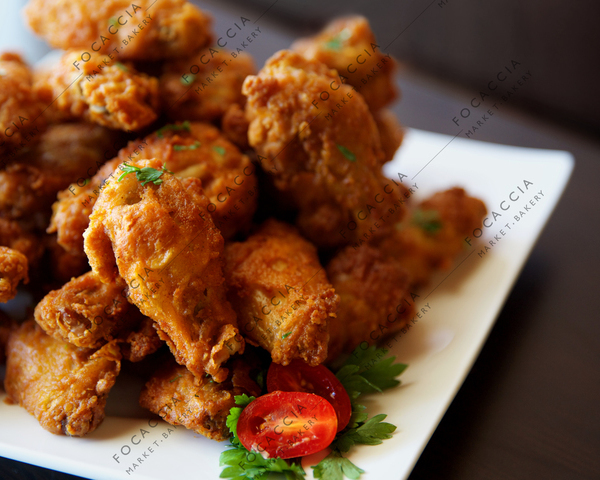 (serves 10 - 12) Marinated chicken wings in sweet Asian chili sauce. 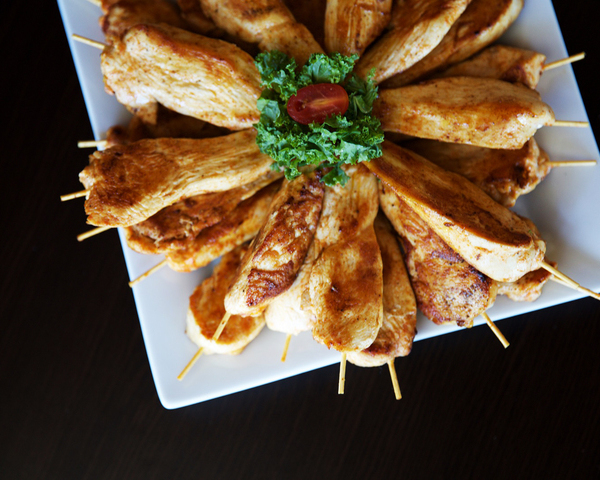 Marinated grilled chicken strips on a skewer and served with house-made peanut sauce. 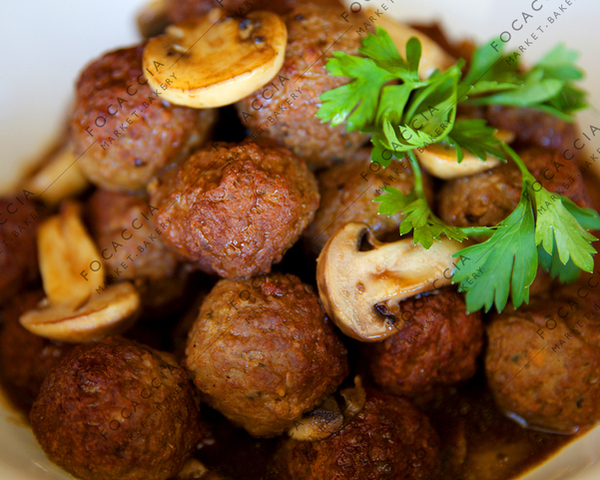 Mini beef meatballs served in a demi-glaze mushroom sauce. 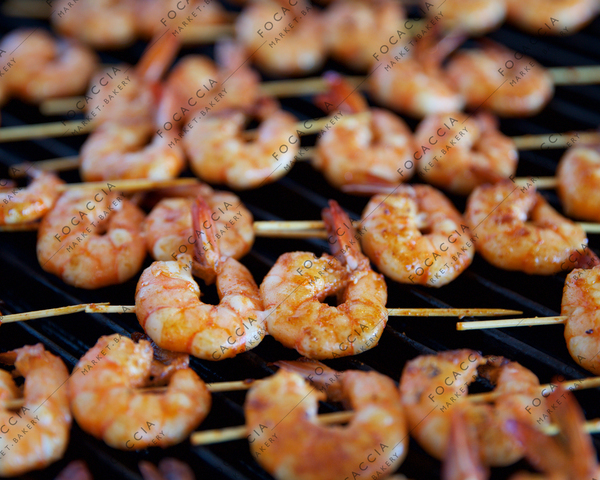 Prawns skewers marinated with Cajun seasoning, served with spicy mango sauce. 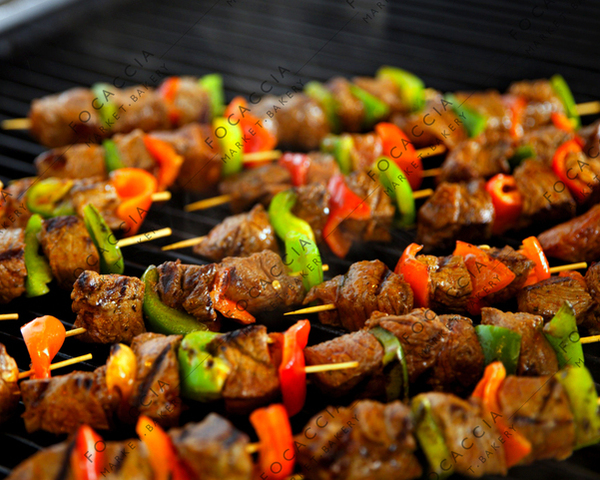 Skewered cubes of sirloin steak, onions, bell peppers, and mushrooms marinated in soy and ginger. 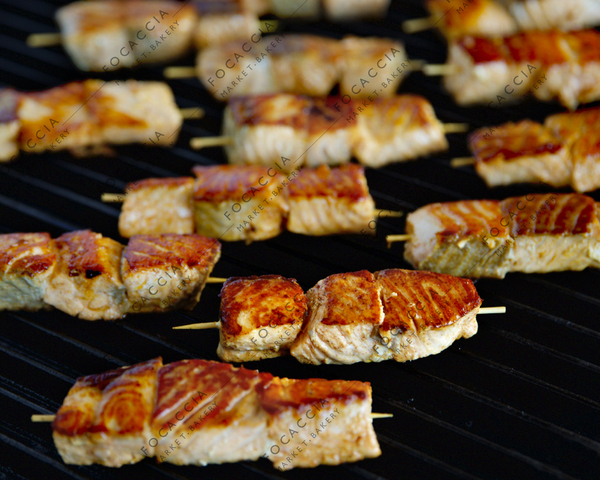 Salmon skewers marinated with olive oil and seasoning, served with caper sauce. 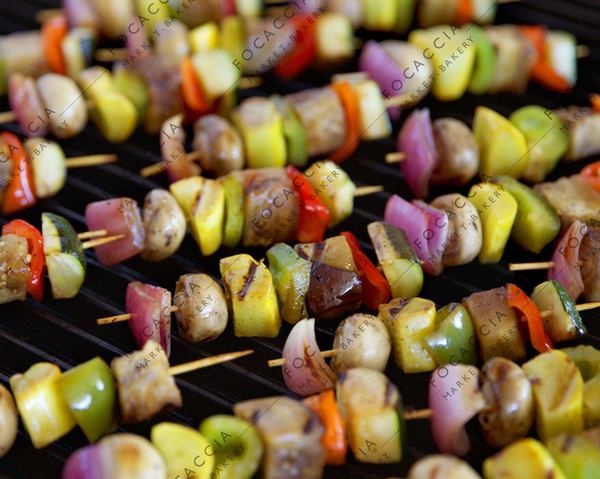 Vegetable skewer Mediterian style . 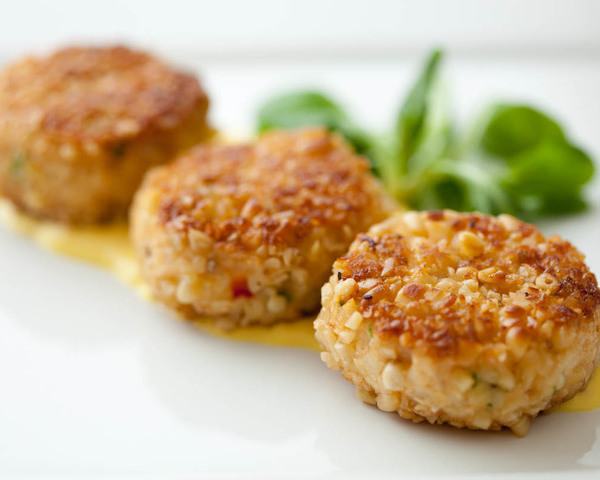 Bite-sized crab cakes served with aioli sauce.